Your carrier wants you to buy into early upgrades, but should you take the bait? We get it. It's been a year since you got a new phone, and it doesn't have a Super Ultra HD screen, 80MP camera or fancy pants 50-core processor. You pine for the latest and greatest mobile toy, but it's probably going to cost you a lot, right? Well, yes. But in the past year, every major US network has eased the pain by introducing device installment plans, many of which allow you to trade in your current phone for a newer, hipper model. Most of these plans, which are designed to let you pay off your device over several months, are still more expensive than the average two-year contract, regardless of who you sign it with. But whether you like it or not, they're here to stay. T-Mobile gets credit for starting the movement: Shortly after it announced its installment and early upgrade plans, AT&T, Verizon and Sprint all followed with options of their own. Ever since, the new plans have led to a massive pricing war, and the resulting price drops (most recently from AT&T and Verizon) have made them more tempting. But what does it all mean for you? In typical UnCarrier style, T-Mobile was the first to come out with an early upgrade program. Known as Jump (short for "Just Upgrade My Phone"), the plan is actually an add-on feature in which you pay $10 per month per phone for the privilege of upgrading to a new device once every six months (up to twice per year), and bundles that extra cost together with phone insurance. This $10 is added to your current monthly service plan and phone installment; additionally, any time you upgrade to a new device, you'll need to trade in your current smartphone and make down payments. As an example, a 32GB iPhone 5s costs $100 down. If you upgrade to comparable phones every six months, you'll pay $320 per year ($120 for monthly payments and $200 in down payments). Jump is designed primarily for early adopters who always want the latest and greatest, even if it means paying more for the privilege. If you don't plan to upgrade every six months, Jump becomes a much costlier venture than it's worth. Paying for regular upgrades comes at a cost. When paying for one line of service on a 2.5GB plan using a 32GB iPhone 5s, you'll pay $340 more over two years if you upgrade your phone once, and $540 more if you upgrade every six months. It doesn't get any better when you add more lines; the difference doubles with two lines and quadruples with four. But what if you buy a phone, such as a Nokia Lumia 521, which has a low hardware cost and doesn't require a down payment? The figures look a bit different, but you're still going to pay more with Jump. On February 23rd, Jump will undergo its first major change since its launch. Instead of getting to upgrade every six months, you'll only be eligible once you've paid off 50 percent of your device. This makes the program an even harder pill to swallow, since the great thing about the current policy is that you can upgrade when only 25 percent of the device has been paid off. On the bright side, at least the company will allow customers to add Jump to tablets as well as smartphones. PROS: (Current) You get to upgrade once every six months, and insurance even comes baked in. (Next week) Tablets will be eligible for Jump. CONS: (Current) Jump is an additional cost on top of your monthly installments, and you'll have to put money down on pricier phones. What's more, frequent upgraders will cough up more cash. (Next week) The same add-on cost applies, but now you'll need to pay off half of your device before upgrading again, and that's on top of down payments. AT&T quickly followed T-Mobile's announcement with its own plan. Next made very little financial sense when it came out. This was your run-of-the-mill monthly installment plan, in which the total retail cost of the phone was split into 20 monthly payments, with the option to trade in and upgrade at the end of the first year. At the time, there were only a few ways Next benefited consumers: It had no down payments or activation fees, making the upfront cost lower than buying a subsidized phone on contract, and it was the only way to upgrade your phone earlier than 20 months. The downside was Next tacked on an extra $15 to $43 per phone to your monthly bill, which already included your rate plan and the flat-rate fee you paid to add phones, tablets, hotspots and other devices. 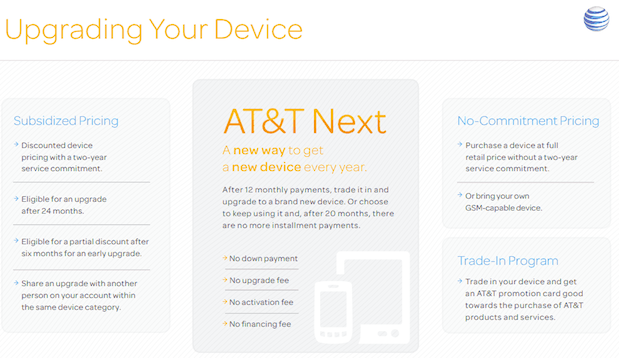 For instance, AT&T charges $40 for each smartphone on your account. The company also lowered installment costs to compete with Verizon; it added a 26-month plan for anyone who doesn't upgrade their phone often; and it's brought down the price of its 10GB plans to $130 for two lines ($160 for four). Customers on existing contracts can take advantage of the offer, but the catch comes at the end of your commitment, when you'll need to stay off-contract or sign up for Next -- if you get another subsidized phone, the price will go back up. 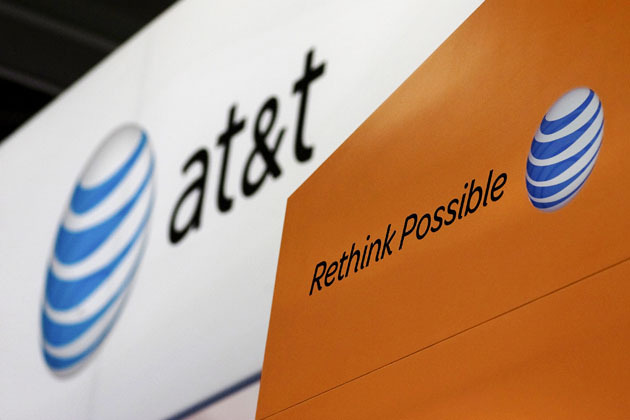 That may seem like a sneaky move, but it's only one way AT&T is "encouraging" customers to get off traditional plans: Last month the company offered existing customers the option to switch to Next and upgrade their phone after only six months. But is Next a good deal compared to a standard contract? It depends on your usage. Looking at a 4GB plan, regardless of the phone's cost, you'll still save a little bit of money over the course of two years on contract versus a 20-month Next plan. On anything above 10GB -- we tested out a 15GB plan on both one and four lines as an example -- the Next plan is a better deal. PROS: It's a great deal... if you're a data hog. Additionally, you'll get to hang onto the service discounts after your smartphone's paid off, and don't worry about shelling out a down payment when you get your phone. Oh, and it's cheaper than Verizon Edge. CONS: It's still more expensive if you use 8GB of data or less, and you only get one upgrade every 12 or 18 months (depending on your plan). Verizon was the third to hop on the bandwagon, launching Edge in August. Its plan is similar to Next in concept. You pay off your phone in 24 monthly installments with no down payment, but instead of getting upgrades at a certain time, you can do it once you've paid off 50 percent of your current phone. (This is essentially how T-Mobile's Jump will work starting next week, except Verizon doesn't require down payments or add-on costs.) For example, you could upgrade your 16GB iPhone 5s once you've donated $325 to the cause, which takes around a year. If you're aching for the latest and greatest smartphone before then, you can technically upgrade after 30 days, as long as you foot the full 50 percent up front. And just as we've seen on competing plans, you'll need to trade in your existing phone in order to upgrade, regardless of when you do it. Unlike Next, there's only a 24-month option. Verizon announced last week that Edge now comes with service discounts: $10 per month per line for plans up to 8GB, and $20 for 10GB and above. This is a decent start, considering it declared last summer that it wouldn't change its pricing structure. Unfortunately, the discounts aren't quite as extensive as AT&T's, and it doesn't apply to customers who have fulfilled their contractual obligations or purchased a phone at full retail cost. Although Edge is $5 more than Next, it still offers the same kinds of advantages and disadvantages when the costs are measured against contract plans. If you buy 10GB or more per month, Edge wins. If you go for 8GB or less, Edge loses. PROS: The sooner you pay off the first 50 percent of your phone, the sooner you can upgrade to something new. And just like Next, Edge is a better deal if you use at least 10GB of data. CONS: Sadly, Edge is more expensive than AT&T, and it's costlier than Verizon's contract plans when you use 8GB of data or less. 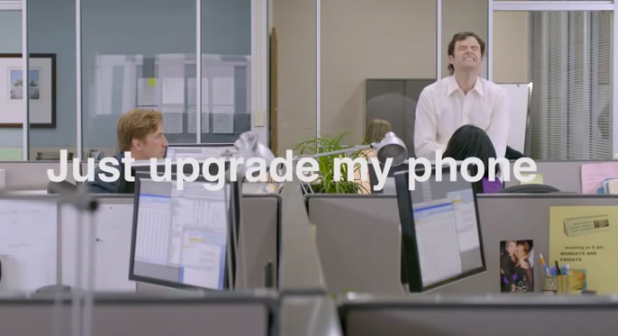 Poor Sprint just can't seem to make up its mind on how it should implement early upgrades. Already late to the game, the Now Network launched a program called One Up in September, which split the cost of a phone into 24 monthly installments and allowed customers to upgrade once a year. Trade-ins were required, and customers were given a $15-per-month service discount for making the switch from a standard plan. Four months later, Sprint split the plan in two. First, the carrier introduced the "Framily" plan, which (outside of its ghastly name) is a cleverly unique idea: the more people who join your group, the less each of you pays. If you don't need much data, 10 people could theoretically pay $25 per month per person on one plan. The downside is early upgrades don't come included, and you're limited to 1GB of data each month, so you'll need to shell out an extra $20 per month per line (that's $480 for a two-year period) to get unlimited data and yearly upgrades. If you don't need the extra data, it's definitely not worth paying that much more money to get a new phone every year, although $45 per person is still much more reasonable than what you can get with other carriers. The second entity is Sprint's new financing plan called Easy Pay, which is your standard 24-month installment plan; it doesn't include any service discounts or early upgrades. PROS: On Framily plans, early upgrades come bundled with unlimited data. CONS: If you want early upgrades but don't want unlimited data, tough -- you're still paying extra for it. Anyone who uses Easy Pay won't get to enjoy service discounts or options to upgrade early. When the four national carriers launched early upgrade plans, none of them actually saved customers money. Willing participants were lured in with the promise of a contract-free life and the opportunity to "lease" a fresh smartphone. They only made sense for early adopter looking for the latest and greatest gadgets. Otherwise, the numbers simply didn't add up. If plans don't make sense to consumers, nobody will sign up. This poses a problem, since many carriers have decreed that subsidized contracts aren't sustainable business models anymore. Thus, the adoption rate for the new pricing plans needs to accelerate at a much more rapid pace. In short, prices need to come down and early upgrade plans must evolve. 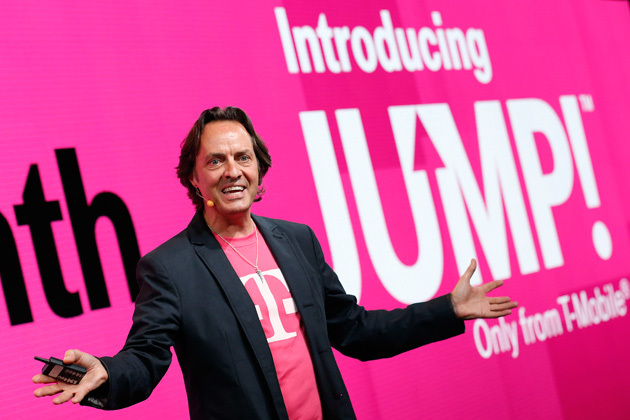 T-Mobile, the pioneer of monthly installments and early upgrade plans, is making its first major change to Jump on February 23rd. To the company's credit, it's had bigger fish to fry; why aggressively push Jump when you're already persuading millions of customers to try device-financing plans through other initiatives? Early termination fee-buyout programs, free global roaming and ATM cards are just a few of the measures the company's using to entice consumers over to its new plans. Jump is simply viewed as a value add-on. Of the remaining three national networks, AT&T has shown the most dedication to getting its customers to switch to Next. It sees programs like Next as the wave of the future, and it's pricing that plan aggressively. So far, the carrier's efforts are working: During the month of December, Next accounted for 20 percent of all new and upgraded smartphones activated on the network. AT&T's biggest rival is finally firing back. Until last week, Verizon hadn't put any oomph into making Edge more competitive, and even with its new discounts, it's still not as compelling. Whereas Next is becoming an integral part of AT&T's long-term strategy -- complete with aggressive pricing and discounts -- Verizon simply looks like it's reacting to competition. But when you're pulling in as many new customers as T-Mobile, why shift your focus to plans that aren't growth factors? 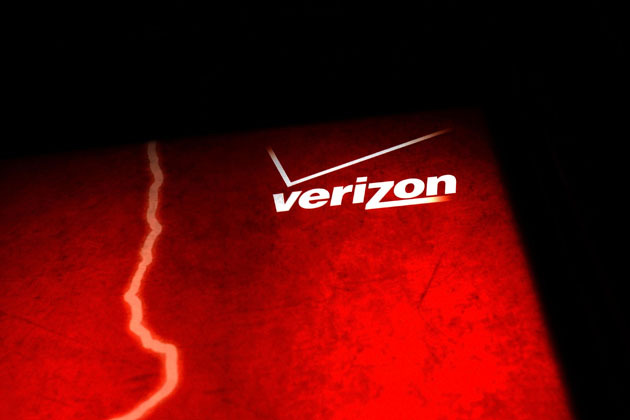 Edge will likely play a larger role in the company's strategy down the road, but its higher prices aren't slowing Verizon down at the moment. Sprint, on the other hand, is taking the concept of evolution to a completely opposite extreme. Instead of refining its plans, it throws them at the wall to see which ones stick. Chances are, the "Framily" plan will remain -- but while unique and larger groups stand to benefit, extra data and early upgrades come at a cost. It's going to be a long time before the traditional contract goes away for good, but US networks are preparing you for its inevitable demise. In the future, device installment plans and early upgrade options will likely become the carriers' primary weapon of choice. And eventually we will all either make the move voluntarily or be dragged away kicking and screaming. We'd prefer the former, but it's only going to work if these new plans evolve to a point where their benefits outweigh their disadvantages.